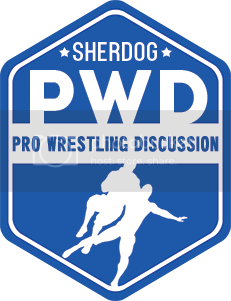 Discussion in 'The Lightweights' started by Max Power, Aug 14, 2015. 3. Don't dare question Rey Mysterio's height in the heavies! I believe that the mascot's name is Sophie Monk. But the theme is awesome, right? &#8211; In an interview at Jon Lester&#8217;s Hollywood Squares-themed NVRQT Night at Metro in Chicago last night, CM Punk revealed that he lost a movie role to Sheamus. He said he auditioned to play Rocksteady in Teenage Mutant Ninja Turtles 2 but Sheamus got the role of the mutated rhinoceros. lol @ losing an acting role to Sheamus. Did Sin Cara vs. a 40-year-old Mysterio put butts in the seats? What about ADR vs. some dude who was a jobber for TNA dark matches? Why because we said 'some words'? Meh. Maven's been in the Royal Rumble for over 13 years now. So Axelmania has a ways to go.